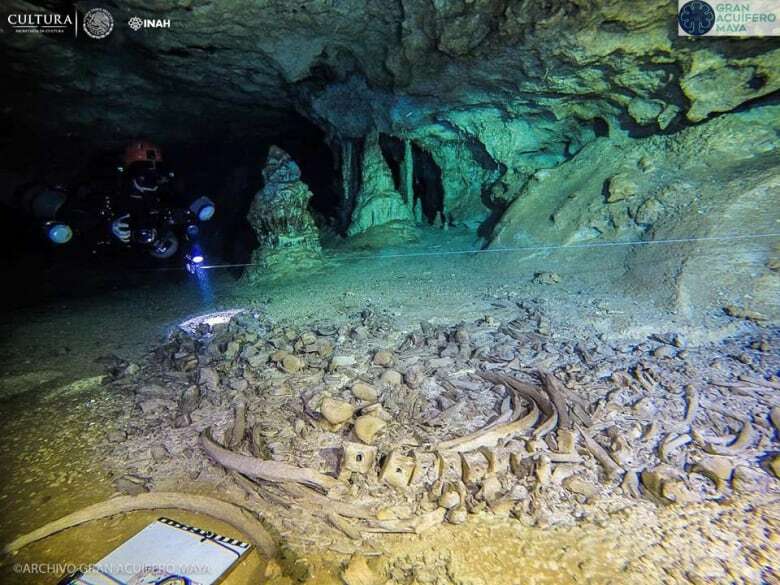 Archaeologists exploring the world's biggest flooded cave in Mexico have discovered ancient human remains at least 9,000 years old and the bones of animals that roamed the earth during the last Ice Age. Apart from human remains, they also found bones of giant sloths, ancient elephants and extinct bears from the Pleistocene period, Mexico's Culture Ministry said in a statement. The cave's discovery has rocked the archeological world. "I think it's overwhelming. 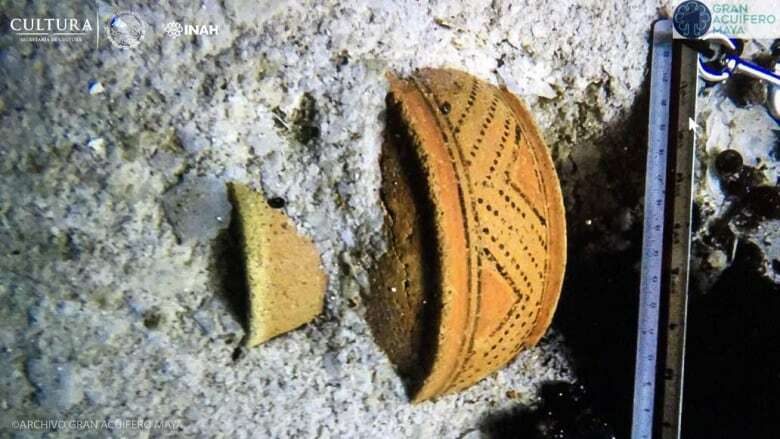 Without a doubt it's the most important underwater archaeological site in the world," said Guillermo de Anda, researcher at Mexico's National Anthropology and History Institute (INAH). According to the INAH, water levels rose 100 meters at the end of the Ice Age, flooding the cave system and leading to "ideal conditions for the preservation of the remains of extinct megafauna from the Pleistocene."